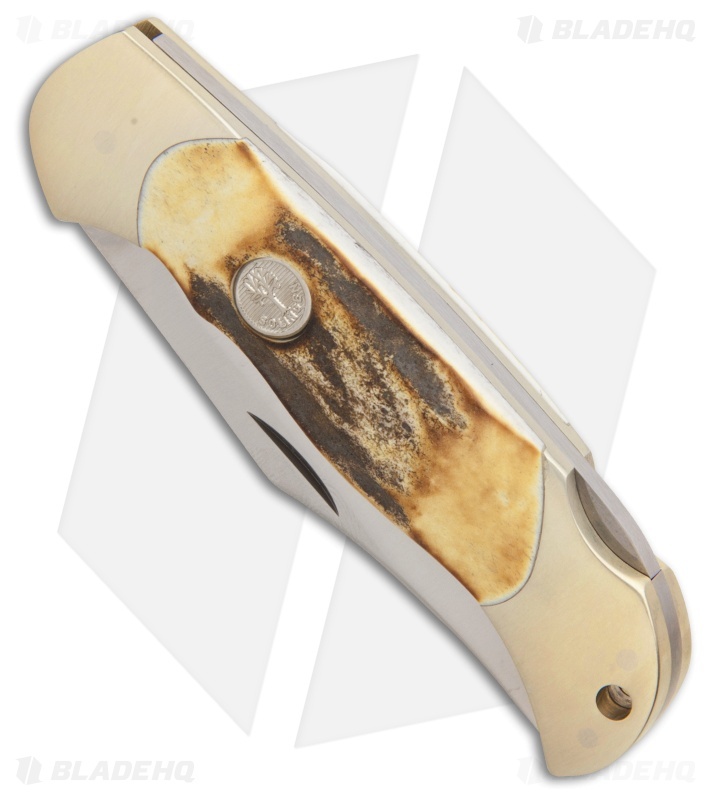 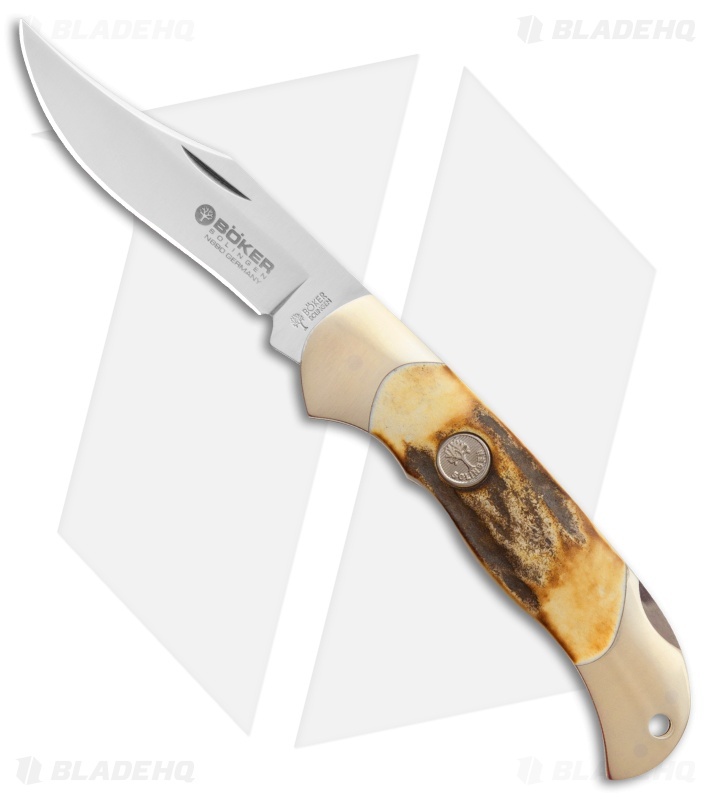 This Boker Junior Scout model features a compact version of the Scout pocket knife with stag handle scales and nickel silver bolsters. 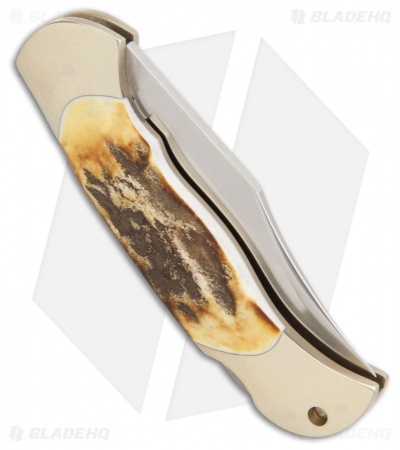 The Boker Scout is one of the most popular Boker folding knife designs and it's available in a wide variety of blade and handle materials. 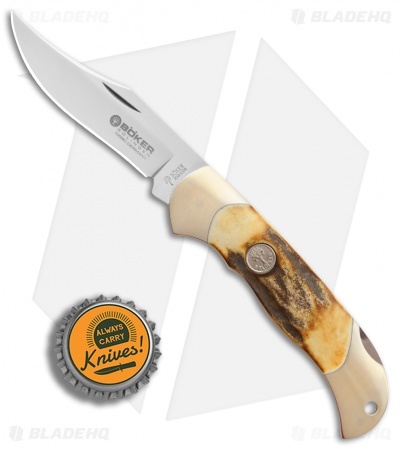 This elegant lockback knife features a Bohler N690 steel blade with a hollow grind and a nail nick opener. A Boker Tree medallion logo decorates the presentation side of the handle. Item comes complete in a collectible gift box with a Boker Tree carry pouch. The Boker Junior Scout is a sophisticated folding knife any collector would be proud to own.